I’m a somewhat lousy adult. A fair percentage of my socks have holes in them, and I pretty much always need a few more shirts. I’m just not very focused on my appearance. In the word’s of my best friend, ‘Honey, your just a little bit of a mess.’ She wasn’t too wrong. And there are more people out there who are just like me. We smell good and love high-performance hygiene, but when it comes time to order more undershirts, well, we forget. Manpacks is a company that has set out to help domestically-incompetent males such as myself look a bit better, while not adding much to our shopping regimen. Manpacks, as we have written before, is a subscription, essentials-service for dudes. Sign up, and every so often socks, boxers, razors, and t-shirts will arrive. You just have to answer the door. Here at TNW we dig the idea of subscribing to physical goods; it’s convenient, generally affordable, and very effective. To get a better look at the market space, we had two chats with Ken Johnson, one of the Manpacks’ head honchos. Enjoy. TNW: Do you see the rising phenomenon of subscription services such as your own as sustainable? What market forces came together to fuel their growth? KJ: There is still plenty of experimentation to be done around the subscription model, but sustainability relies on a commitment to the customer, not the business model. It’s a means to an end—in our case, it’s about convenience and staying top of mind with products guys usually forget about. For others, it’s about curation and delivering a welcome surprise every month. When there are better ways to achieve these business objectives, the models will change. TNW: How does product diversity impact your margins? How does it affect your inventory, procurement, and shipping costs? KJ: Shipping isn’t cheap at our scale of operations, but it costs the same amount to ship a $3 pair of underwear as it does a $30 pair. So we see better returns on the premium apparel. We rarely concern ourselves with the margins on a single item, as it’s so much more important that we provide a complete and satisfying experience for our customers. It’s worth sacrificing some margins here and there to achieve this. TNW: What is a component of your business that you have been surprised with? Why? KJ: It’s surprising that Manpacks is seeing amazing growth, two years after wondering if it could even work. In our early days, lots of people called us crazy. We did our best to tune out the critics and focus on improving, and now subscription ecommerce is everywhere. TNW: Do you think that the average consumer is ready to move on services such as ManPacks? KJ: Manpacks customers are more exceptional than they are average, but tough economic times certainly have made it harder for us to gain mainstream adoption. In times like these, people are rightfully concerned with getting the most value for their dollar. Some people aren’t satisfied that a $10 shirt can be bought for $9 by driving to the store. Manpacks customers understand that if they spend 5 minutes thinking about this, they’ve exhausted more than a dollar’s worth of their time. Time-cost analysis doesn’t come easy to the average consumer, and we’ll benefit from an economic recovery where people can afford to pay a buck to have their time back. TNW: Is there still space in the market for more niche services such as your own? KJ: Absolutely. I talk with a lot of idea-stage entrepreneurs and it’s amazing how much potential there is to create meaningful niche services. TNW: What is the next step for subscription services such as ManPacks? Does Amazon’s ‘subscribe to this product’ feature present a threat? KJ: Subscribe and Save has been around for a long time, and if automation were the only thing we had to offer, we’d be crushed by them. As it is we don’t see them as particularly competitive. The next step for Manpacks is to continue learning more about our customers; taking that knowledge and refining our service so it is a perfect fit with their lifestyle. It’s less about being “predictive” as a subscription company as it is being relevant as a service company. TNWL: Over time, have your gross margins gone up, or down? KJ: Up, as we’ve added items more cost-effective to ship. TNW: How do you control shipping costs? 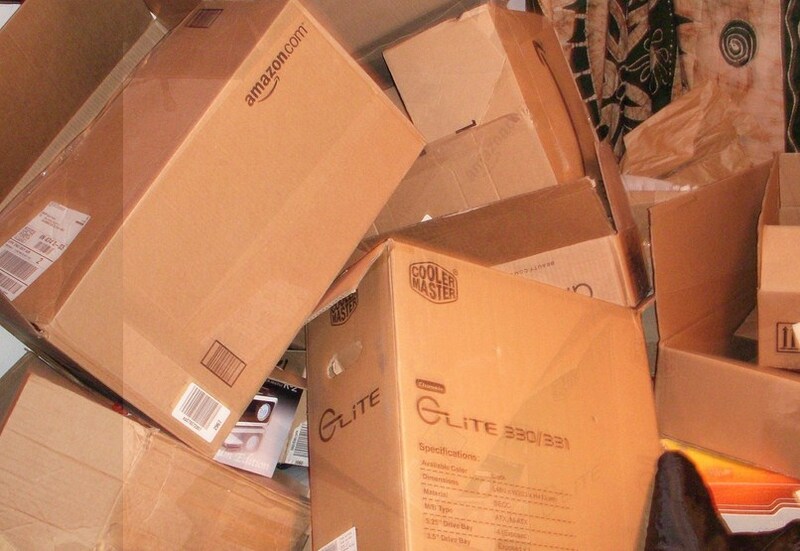 KJ: We use a logistics company that passes shipping discounts along to their customers (not all 3PLs do this). So as their client-load increases, we benefit from volume shipping discounts. Hope you enjoyed the interview. Alright, want a hot tip? Build a Manpacks for booze. I’ll be your first customer.